The Short Version: Since 1991, The Modern Matchmaker has offered relationship-minded singles an easier path to finding “The One.” Based out of Pittsburgh, the personalized matchmaking firm accelerates the dating process by networking with high-quality, relationship-minded singles and proactively arranging compatible dates. The experienced team’s dedicated and knowledgeable support helps daters spend less time on bad dates and more time on viable matches. The Modern Matchmaker also offers one-on-one image consultations to boost daters’ confidence levels and increase the likelihood of attracting the man or woman of their dreams. By becoming premier members of The Modern Matchmaker, time-conscious professionals have a much easier time going on successful dates and meeting that ideal match. Knowing what you want is easy; finding it is where many singles run into difficulty. Sometimes the person you’re looking for isn’t around the corner from you. A single father in his 50s may want to have more kids and grow his family, but where does he go to meet a woman who wants the same things? A successful business woman may want a partner with an advanced degree and no prior marriages, but how does she make time to seek him out? The steady guidance of The Modern Matchmaker team supports singles in Pittsburgh. If they’re smart, these singles go to a matchmaker and have a professional do the legwork for them. Matchmaking services provide fast-working solutions for adults ready to invest in love. The Modern Matchmaker, a leading dating service based out of Pittsburgh, has sparked deep connections between many commitment-oriented clients. Since its founding in 1991, the boutique company has aimed to deliver perfect matches for relationship-minded individuals. In one-on-one consultations, the matchmakers listen to what their clients want, and then go out and find it. The experienced team combines the far-reaching resources of their singles database with proactive scouting efforts to bring singles the kind of dates they desire. The Modern Matchmaker works with professional singles aged 25 to 85, and the team skillfully recommends dates based on mutual compatibility and has seen many clients get married and start families over the decades. The first step of the process is to register on the website or call the office to obtain a confidential dating profile. This gives the matchmakers a framework to understanding who you are and what you want to get out of their dating services. Next, you’ll set up an appointment to meet with a professional matchmaker to talk about your dating standards and see if matchmaking is a good fit for you. After the private consultation, the team takes professional photos, fine-tunes the dating profile’s wording, and gives the client a login to The Modern Matchmaker singles database. This is a curated, members-only platform where clients only see profiles that have been handpicked by the team as potential matches. A private online portal helps members confidentially review their date prospects. The Modern Matchmaker team takes care to give personalized attention to each individual. All clients benefit from a detailed and ongoing discussion of wants, needs, and goals. The matchmakers talk through each match recommendation and only give out last names and contact information when both parties agree to the date. The team is hands-on about following up every step of the way to ensure a smooth and enjoyable dating experience for everyone involved. 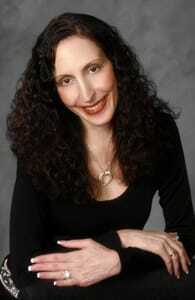 Susan can empathize with professional singles because she used to be in their shoes. In the early 1990s, she felt frustrated by how little time she had to devote to dating. She ran a successful marketing and communications firm and simply didn’t have the energy to make finding a soul mate her second full-time job. 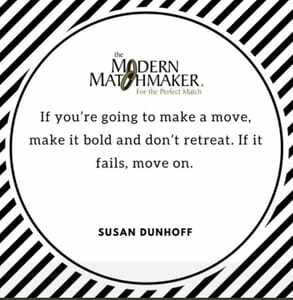 Professional matchmaker Susan Dunhoff takes a personal interest in helping her clients excel in the dating world. Susan’s personal drive to help singles find a relationship actually led to her own happily-ever-after as well. She met her husband-to-be through her matchmaking business and got married in 1994. Now the matchmaker wholeheartedly endorses the effectiveness of matchmaking. It worked for her, and it can work for you, too. Decades later, The Modern Matchmaker has expanded to provide boutique services, including image consulting and couples counseling, to get clients where they want to be in life. The Modern Matchmaker has made a definite impact on the lives of hundreds of people across the country. Although the team generally focuses on active daters within a two-hour radius of Pittsburgh, they also network with matchmakers in other states so they have a reliable support system for clients who travel a lot or relocate for work. That national reach has led to some phenomenal stories from lawyers, physicians, teachers, executives, and other career-minded adults who found love because of the agency. “I had very little free time to try to meet anyone on my own,” wrote Ellen in her testimonial. She met her husband through the matchmaking database. “The Modern Matchmaker was the perfect resource for me to overcome these obstacles,” she said. “Susan knew the two of us belonged together before we did,” wrote Mark, a lawyer who met his wife through The Modern Matchmaker. Though they went to the same gym, shared similar interests, and were both divorced singles with children, she actually turned Mark down as a match three times before Susan talked her into going out with him. As soon as Mark met her, he was in love. When they got married, they sent the matchmaking team over 150 photos of them celebrating their love together. Susan said she loves it when her clients follow up and let her know their relationships are still going strong. Two former clients named Rich and Rachel sent along baby pictures and even invited her to their child’s first birthday party so she could see the joy she’d brought into their lives. The couple had three little girls between them when they first got together; now they have four daughters and a son. These days, dating can feel like searching for a needle in a haystack. It takes so much time and energy to prowl the bar scene or go online, and many busy professionals wind up feeling understandably frustrated by such an ineffective system. However, going to a matchmaker dramatically increases the quality of dates while decreasing the effort of meeting compatible people. By using a highly personalized system, Pittsburgh’s Modern Matchmaker team has jump-started the love lives of men and women ready for the real deal. The company’s engaging services give singles curated date options and hands-on advice, so making a genuine connection is just a matter of showing up.